Singapore has best 4G LTE experience with a 46.64Mbps average download speed among 77 nations according to a recent OpenSignal report. South Korea is not far behind with an average of 45.85Mbps speed. European countries Norway & Hungary too have LTE average speed greater than 40Mbps. By contrast, the US has very low average 13.98Mbps. Last week, ITU-R Workshop on IMT-2020 terrestrial radio interfaces was held in Munich, Germany with main objective to outline the process of submission/reception of the Radio Interface Technology (RIT)/set of RIT (SRIT) proposals and acknowledgment of receipt. 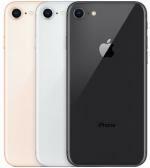 Last week Apple announced a new generation of iPhones: iPhone 8, iPhone 8 Plus and iPhone X. The new iPhone features A11 Bionic chip, Retina HD displays and wireless charging, just to name a few. GSA, the Global mobile Suppliers Association, has confirmed that LTE subscriptions are growing faster than any other mobile communications system technology. According to a recent ABI Research, 676 million 4G LTE handsets are expected to be shipped in 2015, growing 204 million units from 2014. 350 commercial LTE networks are forecasted by 4Q 2014. 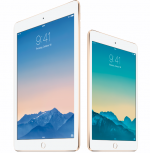 Apple has announced 6.1 mm thin iPad Air 2 with weight less than a pound. iPad Air 2 features an improved Retina display with anti-reflective coating and is available in gold, silver and space gray. The new iPad Air 2 and iPad mini 3 also offer Touch ID and Apple Pay. GSA has announced that globally 331 operators have commercially launched LTE networks and service in 112 countries. 65 LTE networks have launched so far in 2014. In addition, 116 mobile operators have launched HD voice service representing over 30% YoY growth. Apple today announced iPhone 6 and iPhone 6 Plus with 4.7-inch and 5.5-inch Retina HD displays. With faster LTE download speeds of up to 150 Mbps, iPhone 6 and iPhone 6 Plus support high-quality voice calls over LTE (VoLTE) as well as Wi-Fi calling.